People often ask me how to go about starting an art collection. For someone not involved in the art business the task of purchasing art can seem quite daunting. Soaring prices surrounding the art market have hit the front pages of The New York Times and The Wall Street Journal. This sort of journalistic attention suggests that we are in the midst of an historic shift in the history of the art market. With paintings that sold for well under $100,000 being resold for more than $1.5 million in only a few years, it is easy to see why one would want to get into collecting. Before you begin there are a number of questions you need to ask yourself. As a collector you need to decide if you are in this only for financial gain or for aesthetics. If your interest is purely financial, then whatever you deem collectable can go into storage – it doesn’t matter what it looks like as long as it fits your criteria for profitability. In this case, the entire purchasing process could be done over the phone with a trusted consultant. If there is an aesthetic component about what you collect, then you need to either like, or possible love, the piece of artwork you are collecting. This type of collecting will involve a commitment on your end to go out and look at a variety of artwork. Are you interested in only collecting work from artists who are dead? Intrinsically, limited inventory increases value – Economics 101. Do you have a moral/social component to your collecting, where you are concerned with helping living artists survive? There is no doubt that art has become an investment, not just an indulgence. People who were merely collecting before are now turbo-charging their art-buying activity, and people who would never had made a significant investment in art are now rethinking their strategy. Today, there are art funds, where some investors place up to ten percent of their total assets. When the U.S. dollar gets weaker against foreign currency, more money starts pouring in from non-U.S. sources. These collectors from Russia, Dubai, Hong Kong, Singapore, India and South Korea have pushed the prices of paintings by U.S. artists even higher. With the largest portion of foreign money being spent on contemporary art. This is the first time in at least two hundred years that citizens of the U.S. aren’t making the decisions about the future of “art” for their own artists! There are two very basic types of art – abstract and representational. Abstract art began in the early 1900s. Wasily Kandinsky (1866-1944) is given credit for being the father of abstract art, however, there were a lot of artists playing around with abstraction starting as far back as the 1880s. Although representational art dates back to a time when humans lived in caves, Renaissance artists such as Leonardo da Vinci (1452-1519) were the first real masters of representational artwork. Within these two broad categories of abstraction and representational there is a myriad of styles, concepts and approaches. Contemporary art is the art of today, produced from the late 20th century to current time. Contemporary art is influenced by our global, cultural and technologically advanced world. This art can be abstract, representational and/or conceptual. It is comprised of a dynamic combination of materials, methods, concepts and subjects that challenge traditional boundaries and defy easy definition. Diverse and eclectic, contemporary art as a whole is distinguished by the very lack of a uniform, organizing principle, ideology or "ism." Types and styles of art come and go in popularity and worth. Prices for impressionist art climbed steadily for over a hundred years then started sinking around 2006 during a time when contemporary art prices soared. Although contemporary art is perhaps the riskiest of the types of art to invest in, today’s contemporary art buyer wants to tap into what’s new and exciting. In the past art collectors felt that “real art” was only produced by artists who were deceased. 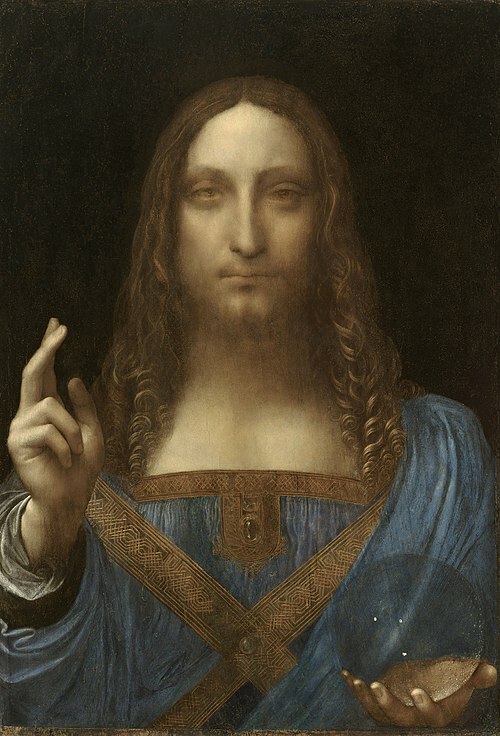 That might still be true if you are able to purchase a piece like Leonardo da Vinci's Salvator Mundi (1490). Luckily for those of us who do not have $450.3 million, but luckily there are lots of other pieces of artwork that are a good investments. During the 1970s collectors were made up of intellectuals, who were mainly psychiatrists and lawyers. The art world was a smaller community; today it has changed into an industry. The U.S. art markets are estimated to be worth over $4 billion and are comprised of about 6,000 galleries. Collectors today range anywhere from the individual, to the hedge fund manager to large corporate businesses. One of America’s largest art dealers today, Jeffrey Deitch (b.1950), sums up today’s art market by saying “It’s not just a market – it’s a visual-culture industry, like the film industry or the fashion industry, and it merges with both of them.” Over the last forty years our economy has become increasingly culture-based, and art is now in sync with other tangible assets. Today’s collector has a number of ways to buy art. Traditionally, a collector’s best choice has been buying directly from an established gallery. In the last five years online galleries have increased, while brick-and-mortar galleries have decreased. There are a variety of online galleries - some are run by large galleries, others by various art professionals. 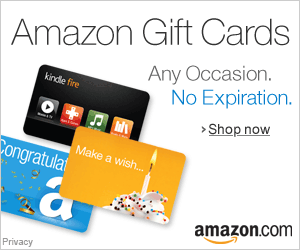 Online galleries allow the collector to view a large quantity of art and to easily shop around. The online gallery on this website (Musings-on-Art.org) specializes in artwork by established international artists, including sought-after work by Russian artists of the Leningrad School. The online gallery can offer excellent investment opportunities. 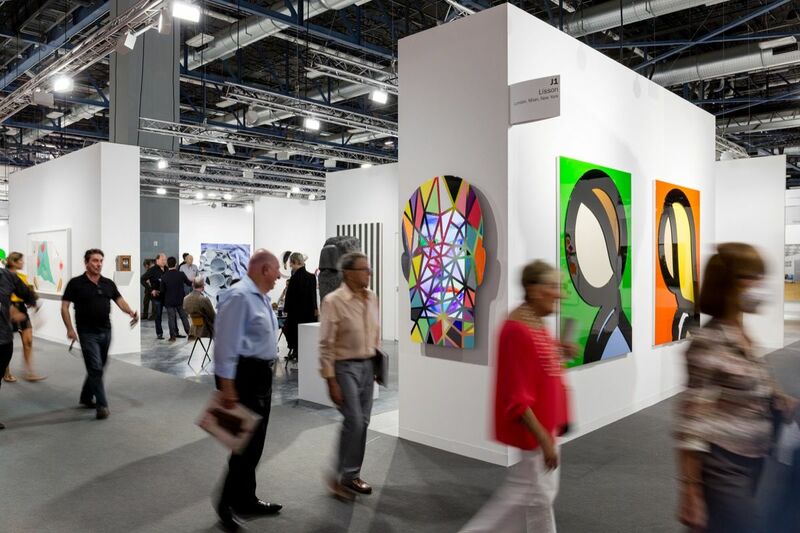 Art fairs are another great way for the collector to view the best and latest trends in art. These “pop-up” events usually last for a long four-day weekend and are located in large metropolitan cities. Art fairs are the epitome of the visual-culture industry, a place to not just buy art but to experience the art culture. The largest art fair in the U.S. is Art Basel Miami, which is comprised of a huge convention-style building with over 250 of the leading international galleries from over thirty countries. Over five days, the show is attended by nearly 100,000 visitors including private collectors and directors, curators, trustees and patrons of nearly 200 museum and institution groups. Other famous art fairs include the Armory Show (New York City), Art Chicago, Art Hamptons and Art LA. The actual buying and selling of art is divided into two main categories – primary and secondary. The primary market is when a collector is the very first person to purchase a piece of art. This is usually done from a gallery, a dealer, at an art fair or directly from the artist. The secondary market is when a collector wishes to sell a piece of artwork. Most galleries require collectors to offer them the first opportunity to buy back a piece of art previously purchased from them. However, most artwork is usually re-sold in a secondary market through auction houses or private sales. Adam Lindemann writes in his book Collecting Contemporary, “There is no wrong way to collect. There are so many different ways to collect and collecting is something personal. It’s not only buying the works that are going to end up at MoMA that makes you a collector, you can make a very small, intimate collection of something that is important only to a few people. You can also buy very eclectic, you can buy because you like the artist, you can buy it because it makes you like your home better and because it looks good.”1 It is best to ask questions of the dealer or the gallery director, do your research and make as informed a purchase as you can. Remember an artist has had to prove his or her merit to even receive representation from a dealer or gallery in the first place. 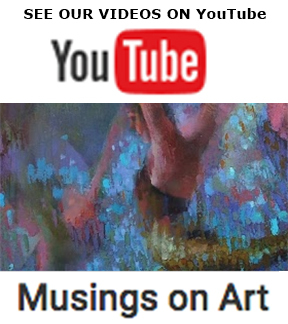 In today’s art business artwork is not going to be put up for sale by a professional unless it has merit. Collecting art has become a good investment but should also be something that is fun to do. Cathy Locke is an award-winning fine art painter, graduate professor and published writer, specializing in Russian art of the 19th and 20th centuries. 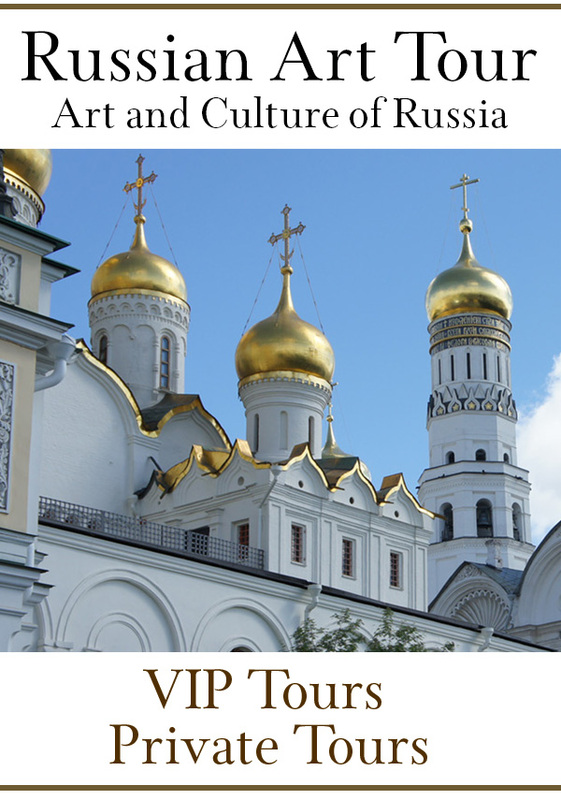 She organizes annual art excursions to Russia every summer and is the editor of Musings-on-art.org.